With winter season in full swing, your immune system might be taking a beating. To keep your health in tip-top shape, you should maintain a healthy lifestyle that includes exercise, high-quality foods, proper sleep, positive thinking, and supplements. Of course, you can get all your nutrients from diet alone, but most people find this impossible due to a lack of time or finances. If you feel less than 100% most days, you might want to look into taking supplements in order to make up for any deficiencies in your diet. However, with all the health advice out there, how do you know who to listen to? 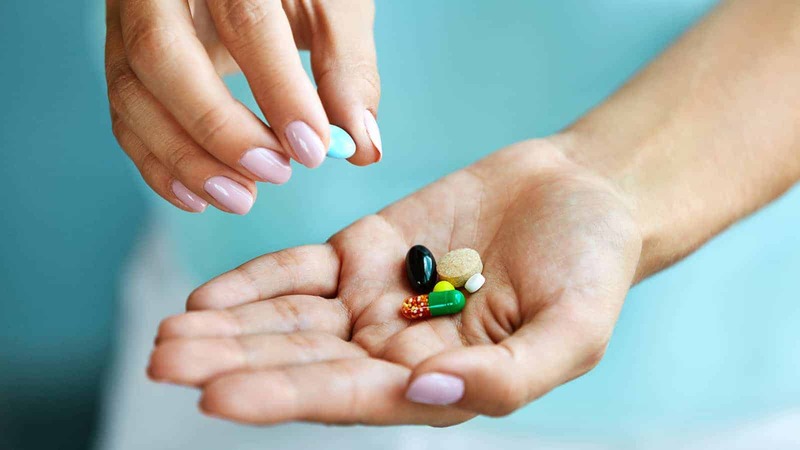 How do you know what supplements to take? In general, going to the doctor to have a blood test done will help you determine what nutrients you lack. Then, you can talk to him or her about the best combination of supplements to take, as well as what foods to eat to boost your nutrient intake. Vitamin D strengthens the bones and aids the body in absorbing calcium. It is also believed to shield against heart disease, certain types of cancer, and depression. We obtain Vitamin D from sunlight, so those living in the northern hemisphere may have a deficiency, especially in the wintertime. More than 36 percent of adults suffer from a Vitamin D deficiency, which can result in a weak immune system and other health problems. Supplementing with Vitamin D can boost your body’s immune system and strengthen your bones. It can also help prevent mood disorders and hormonal imbalances. If you opt to take Vitamin D supplements, nutritionists recommend taking Vitamin D3 instead of D2 because our bodies naturally make D3 from sunlight. Zinc is high in antioxidants and anti-inflammatory properties, making it an excellent supplement to take. It also helps with enzyme function, protein synthesis, and wound recovery. Furthermore, studies have shown that people who took 13.3 mg of zinc in lozenge form got rid of a cold faster than those who took a placebo. While zinc naturally occurs in foods such as seafood, eggs, legumes, nuts, seeds, and soy products, an estimated 1.1 billion people worldwide have a zinc deficiency. This fact makes zinc a vital supplement to take, especially if your diet lacks these foods. When you pick out a zinc supplement, make sure it contains zinc methionate, as our bodies absorb this form best. Did you know that 70 percent of your immune system is in your gut? Unfortunately, many people have poor gut bacteria due to a highly processed diet, alcohol consumption, medications, and a sedentary lifestyle. Probiotics can decrease inflammation, improve digestion, and increase the good bacteria in your gut. You can also eat fermented foods such as yogurt, kefir, kimchi, and sauerkraut, but probiotics are easier to take and usually more affordable. However, with thousands of probiotics to choose from, how do you know which one to buy? In general, you need to make sure the supplement has the genus, species, and strain you want. Do some research on probiotics before buying them since different strains perform differently in the body. Also, look for how much bacteria you will get in one dose; it should say somewhere on the bottle. When you come down with a cold, many people will suggest taking Vitamin C supplements to get better quickly. Vitamin C helps with antibody production and function, which will boost your immune system. It can also help you fight infections, which might mean you can prevent a cold altogether. This vitamin also helps you fight free radicals and protects the skin. You want to ensure that the supplement you choose contains all three types of Vitamin C – ascorbic acid, calcium ascorbate, and sodium ascorbate – in order to increase effectiveness in the body. B vitamins, such as vitamin B12, help improve the metabolism, support cellular processes, boost energy, prevent fatigue, and improve cognitive ability. B12 can also help prevent mood disorders such as depression and anxiety. Vegans and vegetarians especially need to take B12 supplements, as this vitamin is only found in animal products. 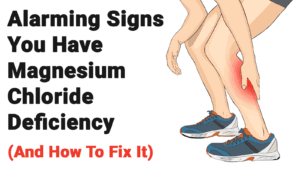 If you feel you’re low in this vitamin, you might want to go to a doctor and get a blood test done to check your levels. Even people who consume animal products regularly can become deficient in this vitamin due to improper absorption or medication use. B1 (thiamine): Thiamine helps convert nutrients into energy and keeps the metabolism functioning properly. B2 (riboflavin): Riboflavin is an antioxidant that also converts food into energy. B3 (niacin): Niacin helps with DNA production and repair, sends signals to the cells and aids in a healthy metabolism. B5 (pantothenic acid): This B vitamin helps with hormone and cholesterol production and aids in metabolism. B6 (pyridoxine): B6 aids in amino acid metabolism, red blood cell production, and the creation of neurotransmitters. 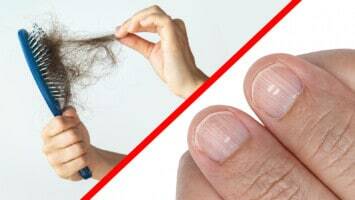 B7 (biotin): Biotin keeps hair and nails healthy and regulates gene expression. One of the best supplements to keep your bones strong and prevent osteoporosis is calcium. Calcium can also help prevent heart disease, diabetes, and cancer when combined with other important nutrients such as Vitamin D and magnesium. Of course, you should try to get as much calcium from food as you can, but if you need a boost, there’s nothing wrong with taking a supplement as well. Omega-3 fatty acids are important for a variety of functions, such as keeping the immune system and joints healthy, making sure the brain performs optimally, fighting inflammation, and ensuring the heart works properly. If you choose to take Omega-3 supplements, make sure you get about 1,000 mg daily to ward off disease and keep your body functioning properly. Magnesium is involved in over 300 biochemical reactions in the body, making it one of the most important nutrients for overall health. Over 80% of Americans are deficient in magnesium, which means taking supplements should be a part of most people’s daily routine. Our bodies need magnesium to keep the nerve cells in the brain functioning properly. Some studies have shown a decrease in anxiety and depression when patients took magnesium supplements. Brain scans have also shown that magnesium can help stabilize areas of the brain that are linked to impulsive behavior. A study published in The Australian and New Zealand Journal of Psychiatry found that people who had normal magnesium levels had a lower chance of being diagnosed with anxiety or depression. Folate supplements can help ward off feelings of depression. In research studies, patients with depression who took folate supplements in addition to antidepressants or therapy had better results than patients who were given antidepressants and a placebo. Furthermore, folate helps cells and tissue grow and repair, forms red blood cells, and makes DNA. As such, it’s extremely important for pregnant women and growing children to get enough folate in their diet. In general, adults need 400 mcg (micrograms per day), and pregnant women need anywhere from 400 to 800 mcg of folic acid per day. Since so many people deal with depression in today’s world, we couldn’t write this article without mentioning St John’s wort. Over 300 million people worldwide have depression, and certain supplements and lifestyle changes have been proven to help. One of the most popular natural remedies for treating depression, St. John’s Wort has shown effectiveness in reducing symptoms of mild to moderate depression. In a Cochrane review of 29 clinical studies, researchers found that St John’s wort works just as well as antidepressants in treating depression. The recommended dose for St John’s wort is three capsules per day, though it will vary based on the severity of your symptoms and what supplements you take. Keep in mind that severe depression may require conventional treatment such as medication and therapy; St John’s wort doesn’t treat this type of depression as well. Also, St John’s wort supplements can limit the effectiveness of certain antidepressants, so talk to your doctor before adding this supplement in your diet. 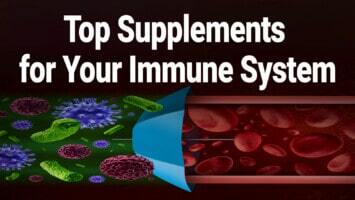 While this isn’t an exhaustive list of supplements for health by any means, it can get you started on a path to a healthier lifestyle. Of course, getting nutrients from your diet first is ideal, but if you can’t, supplements can make up the difference. As with any product you buy, make sure to read the label; a lot of lower-quality supplements have harmful additives and dyes. Try to buy organic, natural supplements when you can. To boost your health even more, make sure to follow a healthy lifestyle that includes exercise, whole foods, positive thinking, quality sleep, and a support network of friends and family. To your continued health!